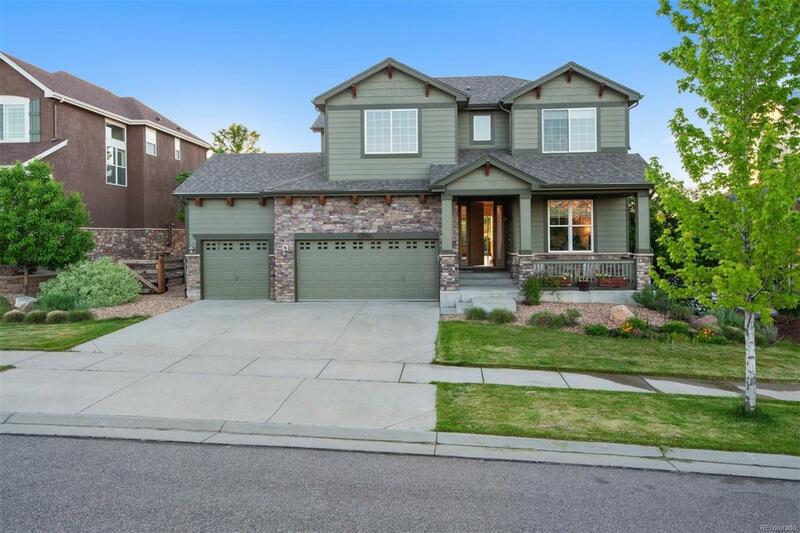 This beautiful 5-bed/ 4-bath 2009 construction home is located in the highly sought-after Whisper Creek Community, across from a park and near walking trails and the community pool. The home features an open floor plan, high ceilings, abundant light, and both mountain and lake views. The main floor was recently updated with new kitchen appliances and refinished cabinets and floors, along with new carpet throughout the second floor. One of the home's custom highlights is the recently constructed outdoor living space, which includes three tiers of living areas, custom gas grill, stone benches, dining area, and an adjacent gas fire pit. The lower level includes a custom basement featuring a bedroom, family room and kitchenette, along with a spacious 3-car garage. Lastly, the home offers access to some of the best schools in Jefferson County which consistently rank among the highest in the country. Link to the virtual 3D Tour: https://my.matterport.com/show/?m=wx2vjj441Tr.